Note: If necessary, connect a keyboard, monitor, and mouse to the console breakout cable and connect the console breakout cable to the compute node. When the prompt ‘Press <F1> Setup’ is displayed, press F1 and enter UEFI setup. Follow the instructions on the screen. Press Escape key 3 times, and Save Settings. 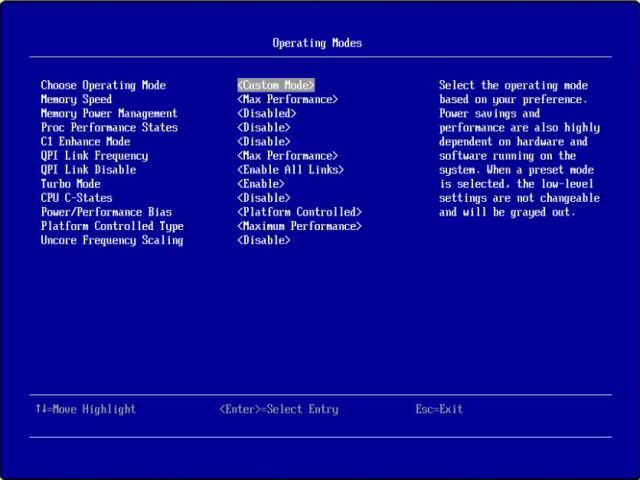 Exit Setup and restart the server so that UEFI changes take effect. 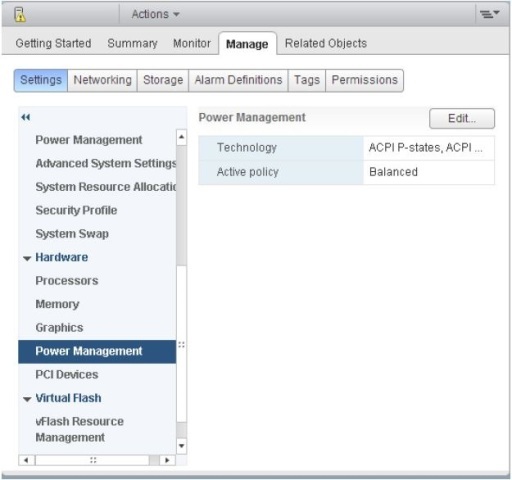 Select the host from the inventory and click the Manage tab and then the Settings tab as shown in ‘Power Management view from the vSphere Web Client’ figure. 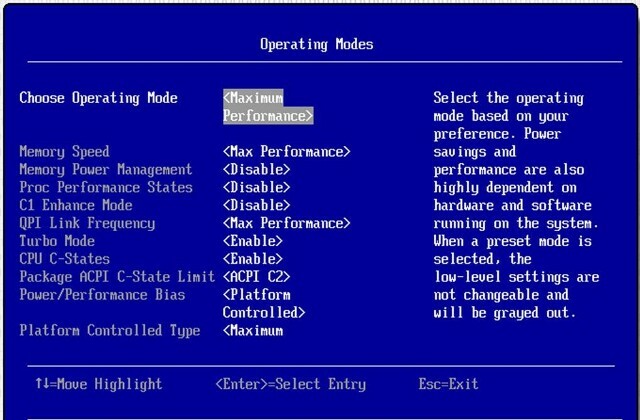 In the left pane under Hardware, select Power Management. Click Edit on the right side of the screen. 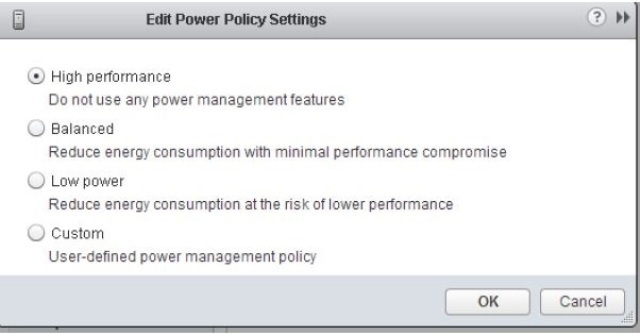 The Edit Power Policy Settings dialog box appears as shown in ‘Power policy settings’ figure. Choose ‘High performance’ and confirm selection by pressing ‘OK’ radio button.